The Neck – The Master of Counterbalance. Your neck controls your future comfort. It’s never too late to do something about your posture, although it’s probably true to say that the earlier you start, the more comfortable your later years will be. In some respects, your spine works like a seesaw; if you do something to one end, there will be a reaction not only at the other end, but across the entire length of the seesaw. In other words, if you position your neck incorrectly on your body, you are automatically setting up a series of detrimental chain reactions. An adult head weighs something in the region of 11-12lbs (5-5½Kgs). When balanced correctly on your body, the line of gravity passes straight through the middle of the body to the supporting feet. 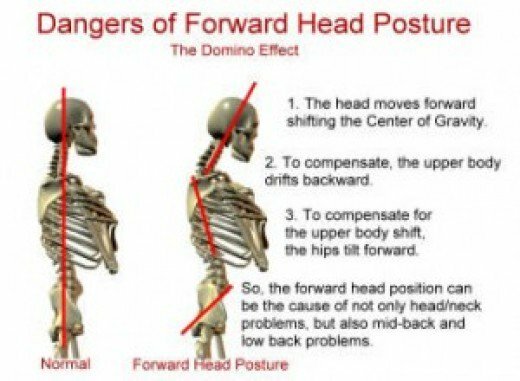 So, when you incorrectly position it forward of that line, the neck is forced to take extra strain as the head moves further forwards. The musculature in the body doesn’t like this, and will automatically try to find the most comfortable position. Therefore, following the Seesaw Law, it will make a number of ‘better-than-doing-nothing’ adjustments; in other words, it sets up a series of counter-balances, the objective being to try to make the situation as comfortable as possible. With these in place, you might not be 100% comfortable, but at least you can function as long as you don’t do anything extreme with your body. 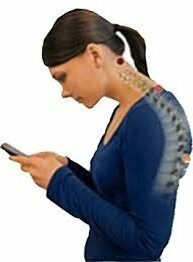 One of our main activities which encourages both back & neck problems, and helps us to develop a permanently poor posture is the way that most of us use our mobile phones. This can easily become a ‘habit’. 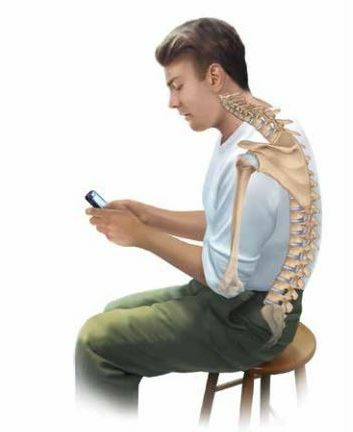 The ideal phone posture to save your neck. 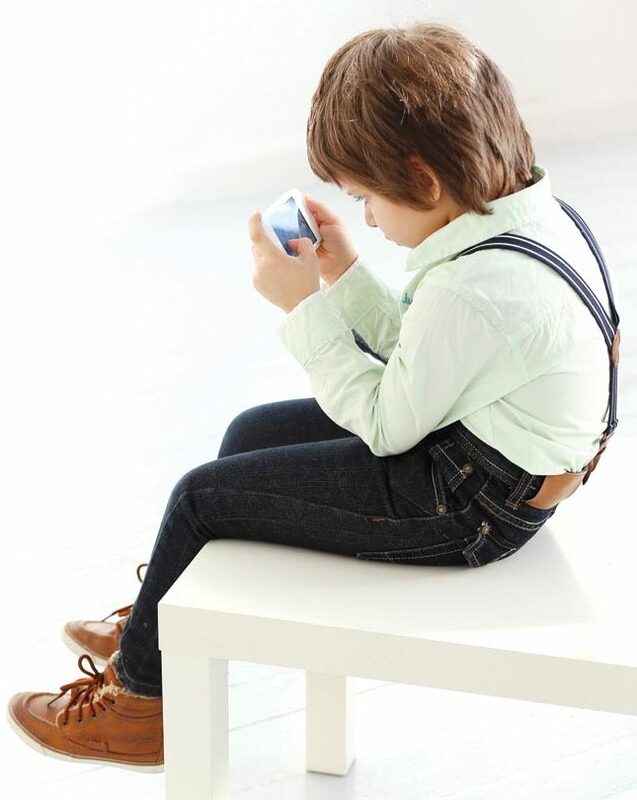 This photo is one way of demonstrating the best position to hold the mobile phone. 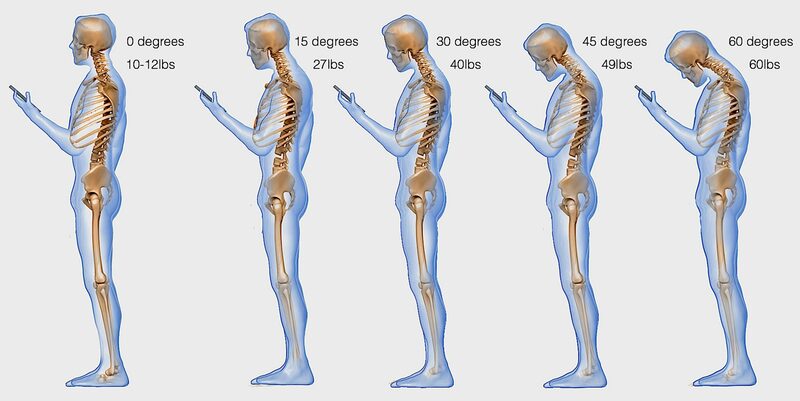 You have to lift the phone high enough to look over the other person’s shoulder, and the body is upright. (It doesn’t take into account a font that is too small, which makes us tighten the neck, perhaps pulling it forward also). This entry was posted in alexander technique, posture, qigong, tai chi, taiji and tagged alexander technique, balance, chi kung, james drewe, mobile phone, neck, posture, qigong, relaxation, spine, tai chi, taiji, taijiquan, vertebrae on Jan 7, 2018 by Taiji.co.uk - James Drewe Taiji & Qigong.